$5 a month is pretty enticing. When we think of smartphone brands, Samsung, LG, and Apple generally come to mind, not T-Mobile. But the Un-Carrier wants to change that perception with the launch of a new budget phone, the Revvl. The Revvl is a budget phone through and through, but it’s one of the better ones, with a 5.5-inch HD screen, along with a Mediatek MT6738 chip, 2GB of RAM, 32GB of storage, a 13MP rear camera, a 5MP selfie cam, and a 3,000mAh battery. These features are not going to blow anyone away, but they're the kind of specs you generally see in higher-priced budget phones. And you’d be hard-pressed to find a phone this cheap that includes a fingerprint sensor. The biggest appeal of budget phones is price, and the Revvl certainly fits the bill. It costs $125 up front or $5 a month for 18 months, and you’re not likely to find a comparable Android phone for less. Even similarly priced Android One phones only offer a gig of RAM, and most of those have smaller screens. The closest price comparison is the Moto E4, which has a 5-inch screen, 16GB of storage, an 8MP main camera, and a 2,800mAh battery for $130. The Revvl doesn’t look terrible! 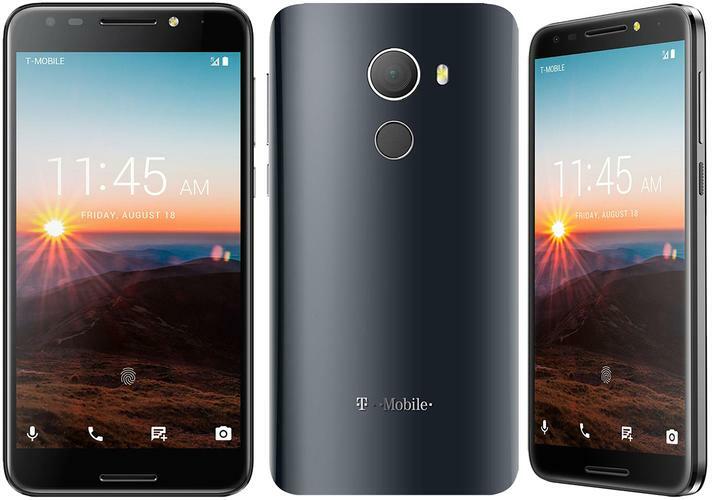 T-Mobile’s Revvl isn’t going to turn any heads, but for $125, it doesn’t look bad at all. The front is clear of any carrier branding and it’s nicely symmetrical with a pair of speaker grills and a good screen-to-body ratio. Even the back, which includes a fingerprint sensor and a T-Mobile logo in addition to the camera, looks pretty good. It’s no Galaxy S8, of course, but in the right light, it could pass for a Pixel 2. Alongside the Revvl, T-Mobile also introduced a new Smartpicks plan, which offers the Revvl, Galaxy J3 Prime, LG K20 Plus, LG Aristo, and ZTE Max Pro on a JUMP! Upgrade plan for $8 or less a month. And you’ll be able to upgrade to a new phone whenever you want. The Smartpicks plan operates just like the other Jump! On Demand plans, meaning you can trade in your phone at any time with no upgrade fees or down payments. In the tech specs, T-Mobile says the Revvl runs Android Nougat 7.0, which is an immediate red flag. It’s already several Nougat versions behind, and with Android O due in a few weeks, it’s about to be a full version behind. And let’s face it: Carriers aren’t exactly known for pushing out timely upgrades. So while it may get security updates, it’s unlikely you’ll ever be able to install Android O or even 7.1 on the Revvl.